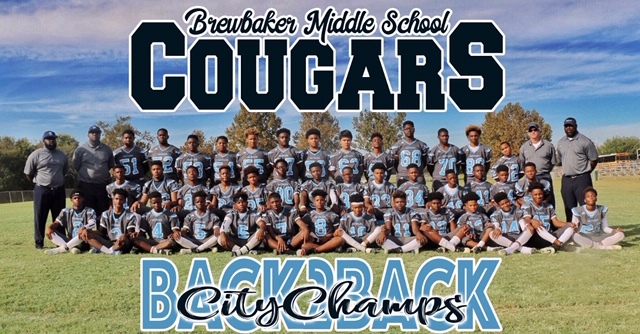 Montgomery, AL- This football season has been very exciting for the Brewbaker Middle School Cougars. 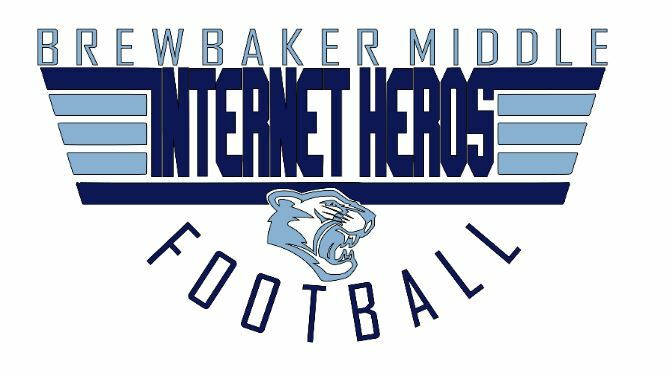 The team defeated the McKee Tigers 14-12, in double overtime, in the 2018 Middle School Football City Championship. 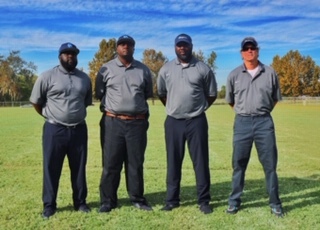 Under the leadership of dedicated and compassionate coaches, the Cougars now hold bragging rights of being Montgomery’s Back to Back Champions. Last year, the Cougars beat Georgia Washington 6-0 for the championship title. Cornerback Jalen Stinson is one player who is the epitome of a student-athlete. He practices time management to help balance school work and practice. “I focus on making good grades and I listen to my parents, teachers, and coaches” Stinson stated. The Cougars are often referred to as the “Internet Heroes”. They use social media to post pictures and videos of practices and games. They also post videos of coaching techniques. “This gives us a lot of recognition thorough out the city” says Dottery. Vaughn has been coaching the Cougars for 15 years. In 2013, he became the head coach. The Cougars have a legacy that Vaughn and his staff are keeping alive. Over the last three years the Cougars have a record of 26-2. Vaughn credits former coaches Dusty Baker, Marty Baker, and Michael Toms for creating the Brewbaker legacy. Overall, the Cougars had a good season. Defensive Tackle Kani Coleman said that he was happy to win a championship game before transitioning to high school. Secondary Coach Jeff Cannady said that it was a very fun year. “Next year we’re looking forward to winning another championship” says Cannady. 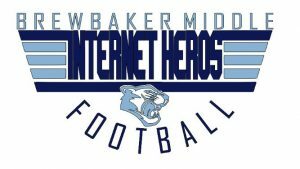 Follow the Brewbaker Middle School Cougars on Facebook at Brewbaker Middle Football and Twitter @MiddleCougars.